Looking for a job, but are failed so far in getting it? Here is a new opportunity for you. 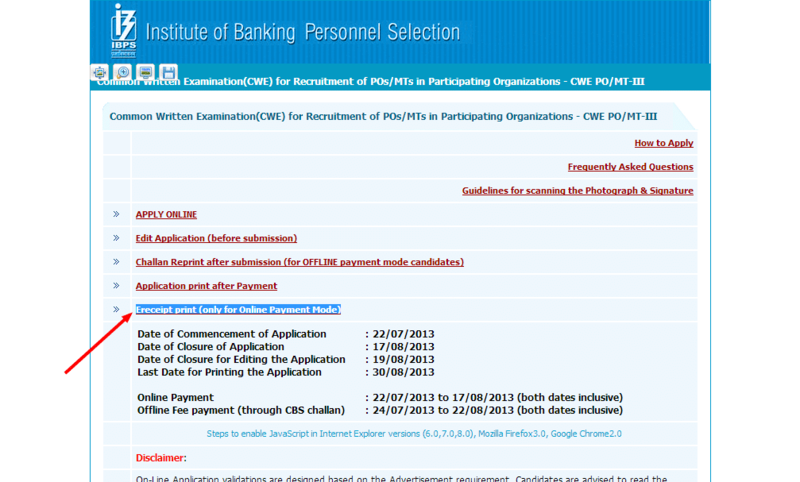 Institute of Banking Personnel Selection (IBPS) is going to take an exam for the post of Probationary Officers/ Management Trainees 2014. The application process has started. In case you want to apply for it, then this guide is nothing less than a boon for you. 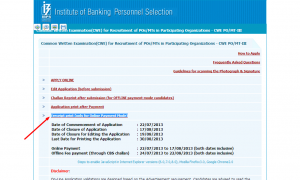 This guide will teach you how to apply for IBPS Bank CWE PO/MT-III Exam. Before I provide the guide, go through some important points written below. The application fees for this particular exam is Rs. 100 for SC/ST/PWD candidates. For rest, it's 600 Rs. Fees can be paid both online and offline. Make sure to have an email ID of your own. This is highly necessary, as this is the mode of communication that will be used by IBPS. Moreover, keep scanned copies of your signature and photographs ready. 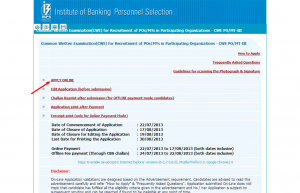 Once you have all these things ready with you, just read out the below process on how to apply for IBPS Bank CWE PO/MT-III Exam. 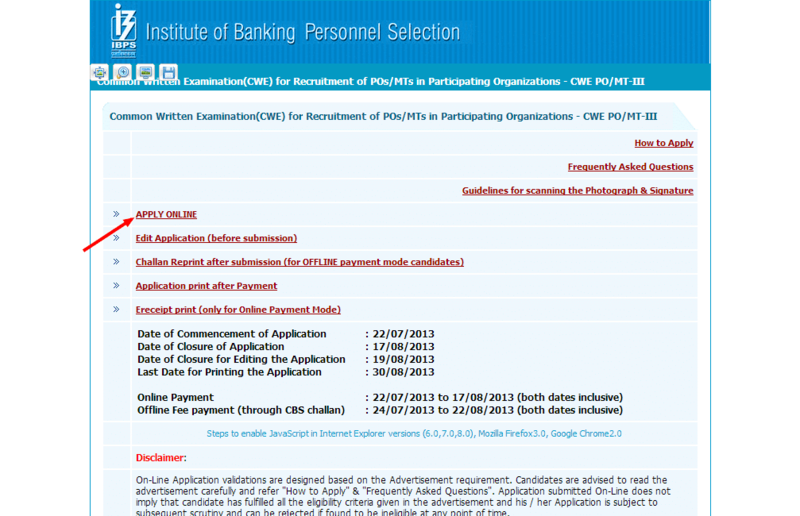 First of all, head over to the official IBPS website. There, head over to the page meant for this particular exam application process. Don't panic! Simply click this link. Out of all three options being shown on this page, select the second one. Yeah, that reads Apply for Common Written Examination for Probationary Officer/ Management Trainee Phase III (CWE PO/MT-III). Don't panic again! Simply click this link. 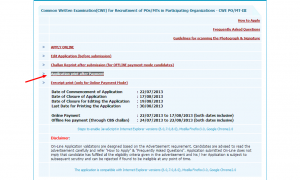 On this page, look for the option 'Apply Online'. Click on it. A new pop-up window will open up. Just read out the guidelines written in this window and then click 'Continue'. The Application Form will come up now. Just fill out this application form. Come on, that's not any tough task. Just keep providing the details in the appropriate asking fields. Verify the filled details and if everything is fine, then click on 'Submit'. If you opted for the online payment option while filling out the application form, then you will be taken to the payment gateway. Master/Visa Debit or Credit Card, or Internet Banking are the options to pay the application fees online. Once the payment is successful, a unique registration number and password will get generated. Note it down! After the successful completion of the process, an e-receipt will be generated. Take its printout. If the payment was not made successfully, then you are required to fill out the application form again. By the way, you can take the printout of e-receipt at any time you want to. Just visit this link. Here, click on an option that reads 'Receipt print (only for Online Payment Mode)'. In case you opted for offline payment mode while filling out the application form, then the first step you need to do is to take print out of challan/voucher. The payment will be accepted at the CBS branches of the banks: Bank of Baroda, Bank of India, Bank of Maharashtra, Central Bank of India, Indian Overseas Bank, Punjab National Bank, United Bank of India. You must be fast in this process, as only three days will be allotted to pay fee offline. These days will start from the 2nd working day after registration. Paying the fee will end the registration process successfully. The confirmation of the same will be sent via SMS/email. It will be sent after two working days of doing the fee payment. You can reprint the challan at any time you want to, by clicking this link, and then clicking on Challan Reprint after submission. Once the payment is done, the only step is to take the printout of the application. Just head over to this link. Here, click on the link that reads Application print after Payment. That's all. 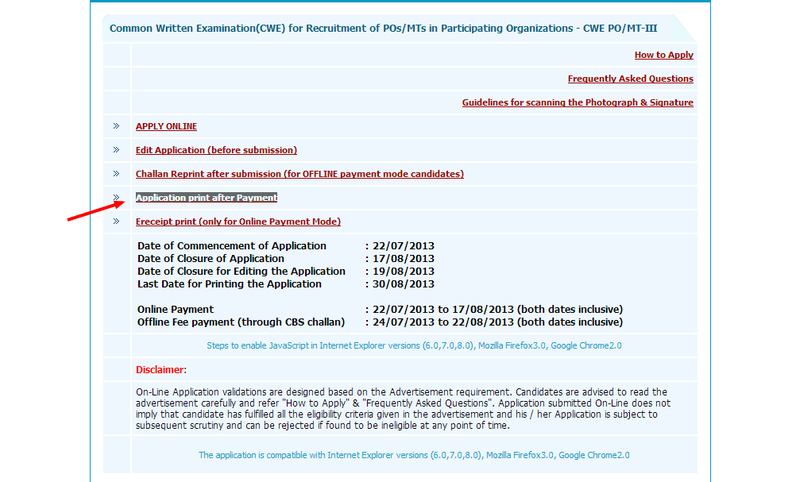 You have successfully applied for IBPS CWE PO/MT-III Exam. Since there must be many applying for this exam, it's advised you to apply for it in the early days itself. In the last days, there will be a huge load on the website and you will have to suffer. So, do apply for it right away. Best of Luck!